My second Windows 7 Phone app is here! 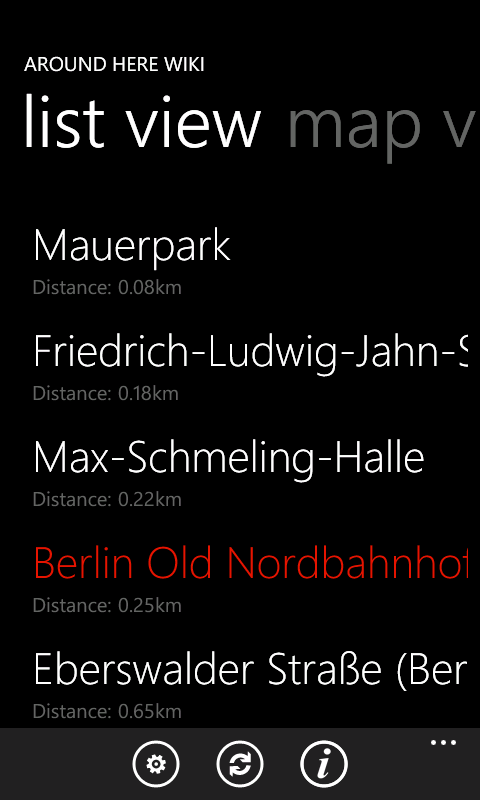 I’ve recently been experimenting with developing small apps for the Windows Phone 7 ecosystem. 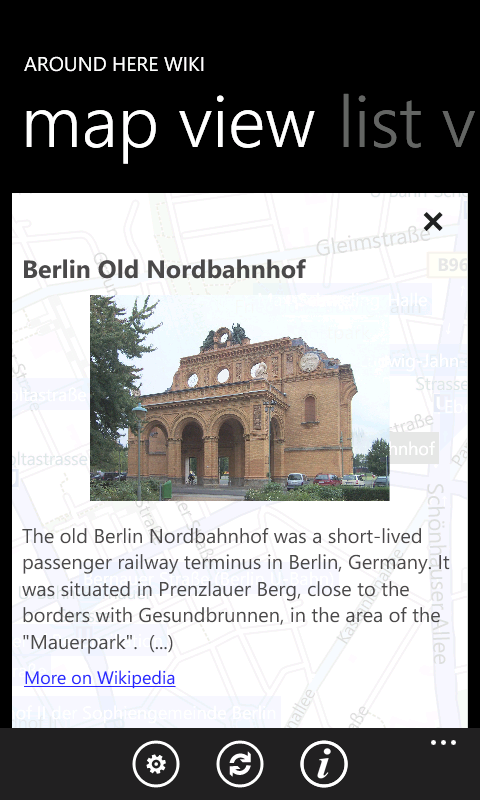 My second app, now available in the Windows Phone 7 Marketplace, takes Wikipedia articles in the area around you and puts them on the map. Discover what’s around you with a tap. 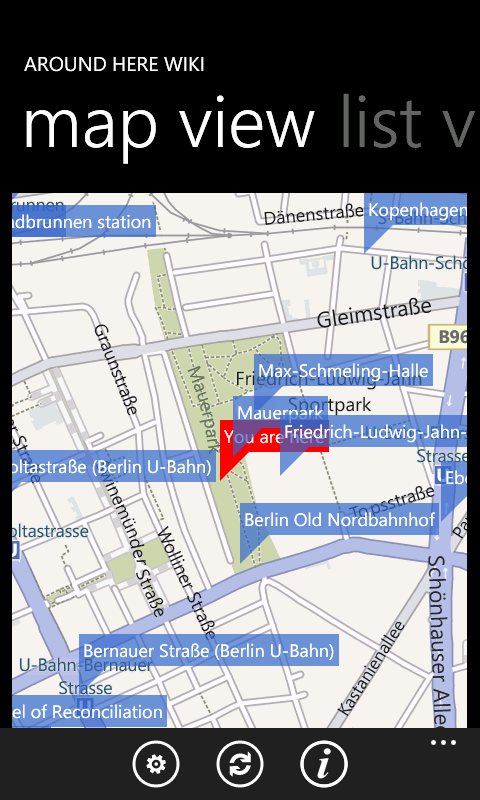 The Around Here Wiki app puts you and all the world encyclopedia Wikipedia on the map: together. Have you ever walked through an unfamilar city and wondered: “What’s that old building over there?” Just pull out the Around Here Wiki, and you’ll find out. 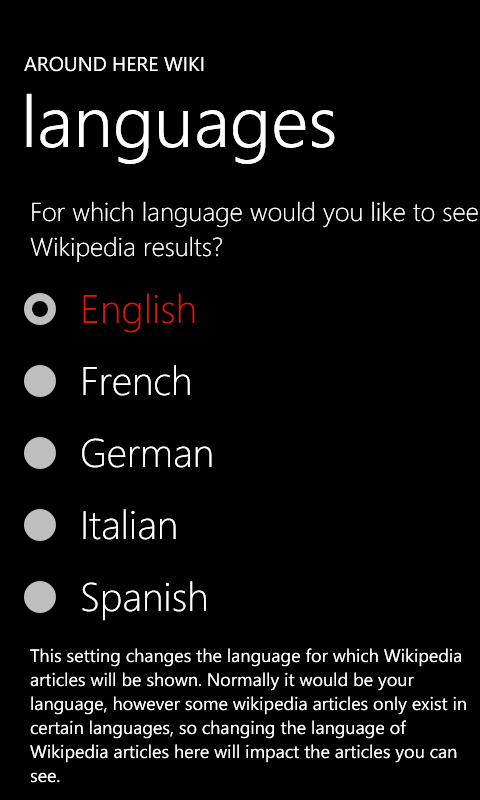 “Is there anything interesting around here to look at?” Around Here Wiki can tell you. Around Here Wiki is clean, simple and no-fuss. No fancy effects or unnecessary information – just the facts. Want to know more? Just follow the link to the full article on Wikipedia.org. You’ll always know what’s around you. Download it for your Windows 7 Phone here. Don’t forget to rate it! This entry was posted in Location based services, Windows Phone and tagged around here wiki, wiki, wikipedia, windows 7 phone, wp7. Bookmark the permalink.